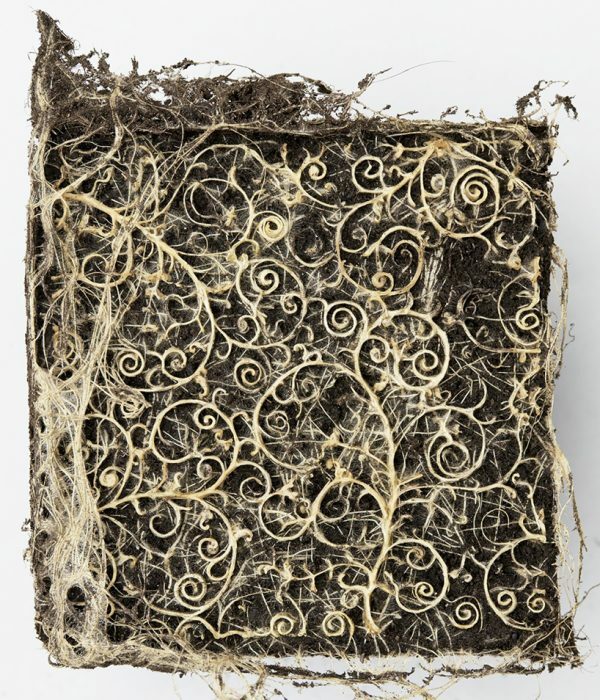 Inspired by Charles and Francis Darwin’s theory on plant intelligence, German artist Diana Scherer managed to successfully coerce the roots of various plants to grow in specific patterns. The results of her work are simply breathtaking. 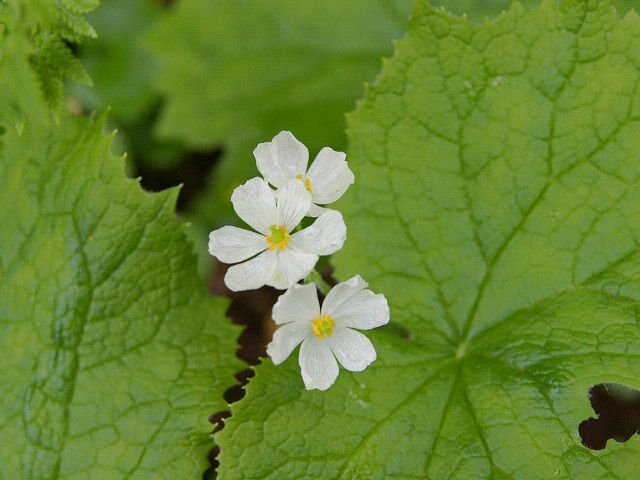 In his book, The Power of Movements of Plants, Charles Darwin argued that while plants are not capable of moving from the place where they are rooted, their roots don’t just grow passively, but actively observe their surroundings, navigating in search of water and certain chemicals. He also refers to roots as plants’ brain-like organ, suggesting that they are actually a lot more intelligent than most people think. Based on Darwin’s controversial “root-brain” hypothesis, Amsterdam-based artist Diana Scherer conducted an artistic experiment where she attempted to coerce plant roots to grow in intricate patterns, sometimes becoming interwoven into stunning living carpets. Ash Soto was only 12 years old when she was diagnosed with vitiligo, a rare skin condition that causes patches of skin to lose pigmentation. 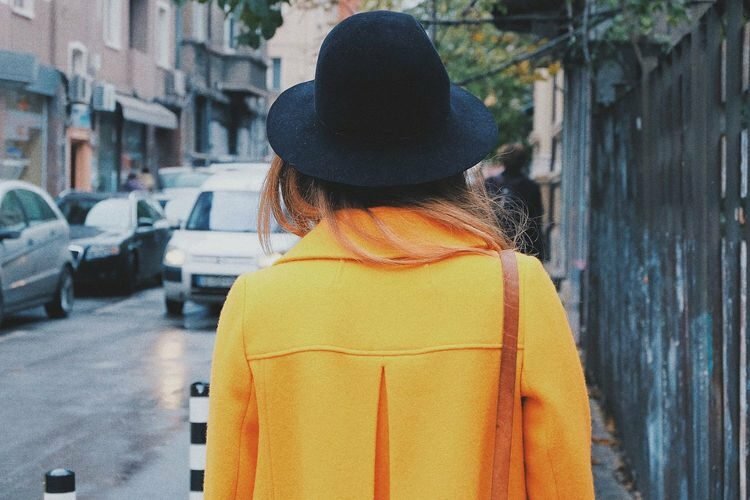 Dealing with the changes to her appearance and the social stigma associated with vitiligo was tough for a teenage girl, but she ultimately managed to accept her condition and make the best of it. Today, Ash even incorporates the unique patterns on her skin to create beautiful body art that inspire and empower people to embrace that we are all different and that’s what makes us special. It all started with a small spot Ash saw on her neck one day. It looked like a sun spot, so she didn’t pay much attention to it, until another one appeared a few months later. 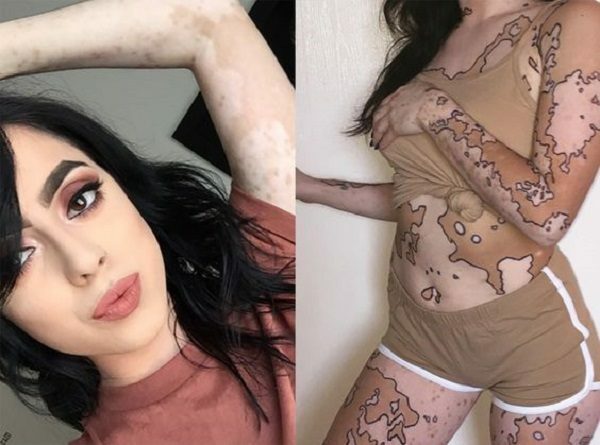 She went to see a doctor about it with her mother, and was diagnosed with vitiligo, a rare and incurable skin condition. Soto was just 12 at the time, and couldn’t yet understand how much this diagnosis would affect her life. 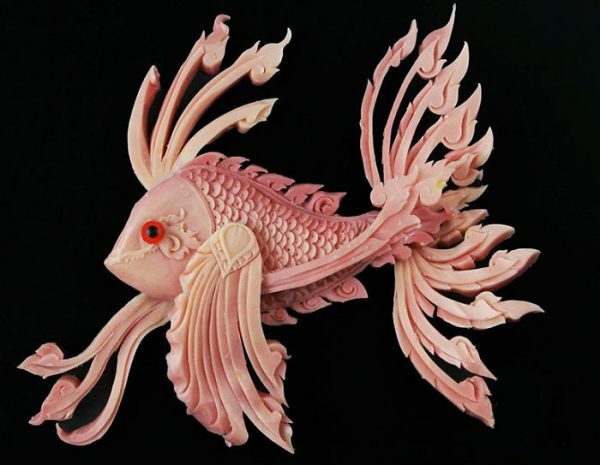 26-year-old Daniele Barresi is a world champion food sculptor with many other titles under his belt, but some of his most impressive creations are actually carved out of soap bars. Just take a look at what he can do with a simple food sculpting knife. Barresi discovered his talent for sculpting very early in his life. At age 7, he was already carving fruits and vegetables, and his skills improved as he grew and practiced. After completing his compulsory education, he was admitted at an art high-school in Reggio Calabria, but had to drop out for personal reasons. Five years later, his other passion, cooking, led him to the IPSSAR of Villa San Giovanni “Professional Cook Institute”, where he was able to use his artistic talents to graduate with a score of 88/100. It was here that he discovered his talent for sculpting various foods into detailed works of art. Daniele went on to win several several medals in international food sculpting competitions, and establish himself as one of the most talented food artists in the world. 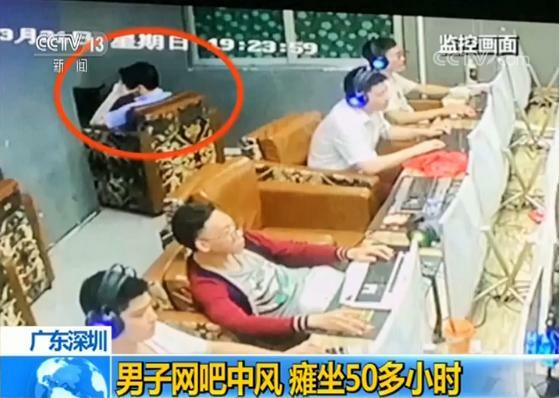 He didn’t stop there, though. In a quest to diversify his artistic portfolio, he searched for various mediums to unleash his skills on, and that’s how he discovered the simple bar of soap. And while his various food carvings are certainly impressive, I dare say that his soap masterpieces are even better. 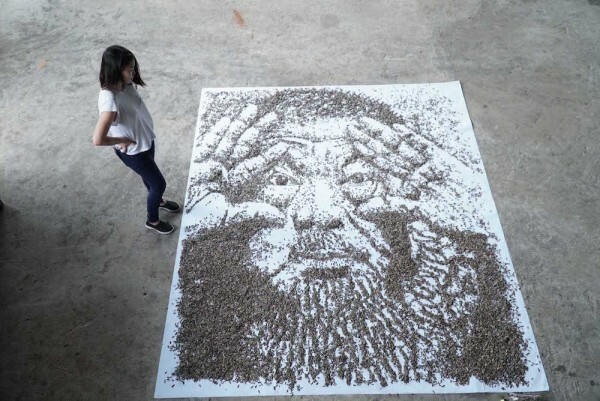 Shanghai-based artist Hong “Red” Yi is well known for her use of unconventional materials, and her latest masterpiece – a portrait of Chinese artist Ai Weiwei made with 20,000 meticulously arranged sunflower seeds – is worthy of her reputation. Inspired by Ai WeiWei’s quote – “the seed is a household object but at the same time it is a revolutionary symbol” – Red sprinkled 20,000 sunflower seeds onto a white canvas and painstakingly arranged them all by hand to recreate Weiwei’s famous portrait with his hands stretching his eyes wide open. Remarkably, she managed to capture his features in great detail, just like she had managed to do with other unusual mediums in the past. Most people don’t pay any attention to grass and the way it grows, but British artists Heather Ackroyd and Dan Harvey have always been fascinated by it and have found an ingenious way to incorporate it into their art. 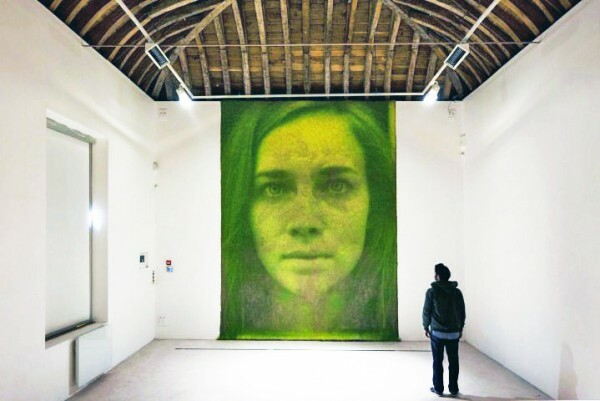 By manipulating the way grass grows, they are able to literally print detailed photographs onto a living wall of grass that develops according to how much light it receives. The two artists start by covering a large canvas with water paste and rubbing germinated seeds all over it. They then cover the windows of their studio turning into a dark room, and making sure that the only light that reaches the canvas is projected through a slide of a negative photograph. They then let photosynthesis run its course, and in a few weeks time the grass-covered canvas grows into a living print of the photograph. The amount of light shining through different parts of the negative determines which parts of the canvas turn out a vibrant green, and which remain yellow and undeveloped, making the details of the image clearly visible from a distance. Body Marbling stations have been popping up at festivals across the United States and people are already calling it the future of body art. It’s based on a centuries-old technique called marbling, which involves applying colors to the surface of water and imprinting the designs on various surfaces, from paper and fabric to metal. But one company has figured out a way to make it work on human skin, and the results are visually stunning. Body Marbling is the brainchild of College for Creative Studies (CCS) alumni Brad Lawrence. Diagnosed with chronic tendonitis in his wrists at the age of 23, he could no longer practice his biggest passions, drawing and sculpting, but he didn’t let that stop him from expressing his artistic talent. Motivated by his friend and Purple Heart Marine, Michael Zach, Brad got into abstract painting as a form of therapy, and started experimenting with marbling. Together, they started Black Light Visuals, a company that relies on marbling to create all kinds of “trippy” looking products, from hats and shirts to bags and backpacks. 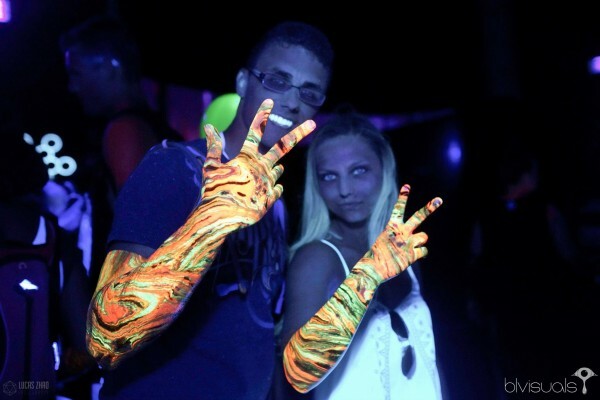 In 2013, they introduced body marbling at the Electric Forest Festival, which allowed people to turn their arms into psychedelic artworks for a few hours. Everybody loved it, and since then Body Light Visuals marbling stations have become popular at festivals all across the U.S.. Pink is a nice color, but PINK is way better. 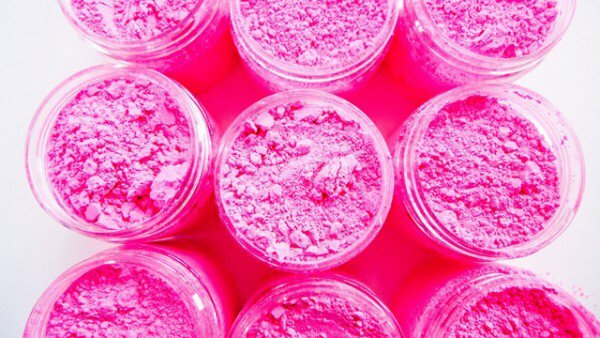 Created by British artist Stuart semple, after a decade of working with paint manufacturers from around the globe, PINK is the world’s pinkest pink. If you’re interested, you can buy 50 grams of it for $4.95, unless your name is Anish Kapoor. In 2014, Indian artist Anish Kapoor shocked the art world when he acquired exclusive rights to use the world’s blackest black in his art. Developed by a company called NanoSystems, “Vantablack” is composed of a series of microscopic vertical tubes, and when light hits it, it is continually deflected between the tubes, essentially becoming trapped. Vantablack absorbs 99.96 per cent of light, which makes it the darkest pigment known to man. Originally created for military and astronomic purposes, Vantablack also sparked the interest of artists around the world, who dreamed of using it in their works. So when NanoSystems announced that Indian artist Anish Kapoor had been granted exclusive rights to use the world’s darkest black, everyone was furious. That includes Stuart semple, who is trying to make a point by making his pinkest pink available to everyone, except Anish Kappor. 23-year-old Julia Koceva has taken the internet by storm with her impressive drawings created using an old technique known as stippling – creating pattern and applying varying degrees of solidity or shading to it by using small dots. A criminologist by day, Koceva spends her nights working on her amazing drawings. She takes between 40 and 100 hours to finish a piece, painstakingly applying tiny black dots to a large piece of paper, using nothing but a ballpoint pen. As Alphonso Dunn, author of “Pen and Ink Drawing: A Simple Guide,” says, stippling creates a unique texture but requires patience and a meticulous approach. 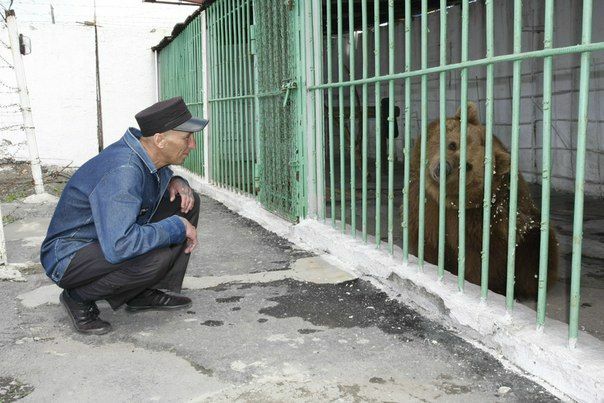 It’s a technique that requires nerves of steel and mountains of patience, but the end results are nothing short of awe-inspiring. 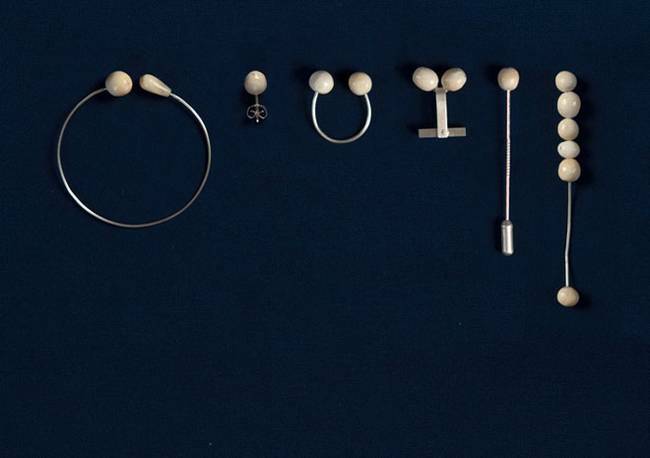 In a time when ivory poaching has gotten so bad that it threatens to wipe out several animal species, a young Dutch designer is creating “egalitarian jewelry” made of our very own ivory – teeth. 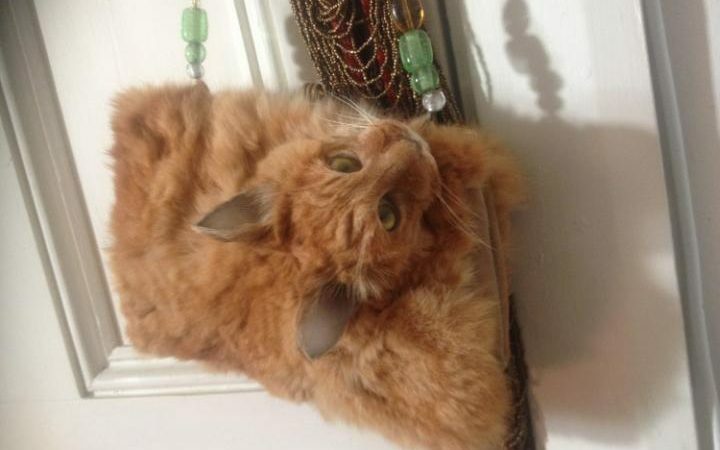 A one-one-of-a-kind handbag fashioned out of the pelt of a dead cat and featuring the feline’s intact head as part of the decor has sparked quite the debate online after its listing on an online auction site wen viral. Created by Clare Hobbs, a professional taxidermist from Christchurch, New Zealand, the bizarre accessory is currently for sale at a starting price of $1,400. Described as an expression of Hobbs’ “artistic passions and desire to engineer the surreal, particularly using feral and domestic felines,” the cat bag is certainly not for the faint of heart. Although the product description mentions that no animals were hurt or killed for the creation of the unique piece, and Hobbs herself added that it was made from a feral cat that had been “hit by a car on backwash country road,” it still managed to attract some negative comments. 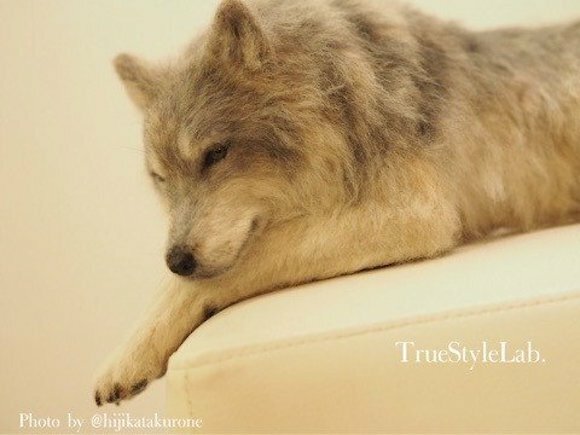 Looking at the majestic wolf below, it’s hard to imagine that it’s not actually a real live animal, but a handmade wool felt sculpture created by talented Japanese artist Terumi Ohta. Born in Hokkaido, Ohta grew up surrounded by flowers and animals, and her love for nature has transcended into her amazing wool felt art. Although she can use a simple needle and a handful of wool to create anything she puts her mind to, her hyper-realistic sculptures of wild and domestic animals are definitely the most impressive items in her extensive collection. Toronto-based artist Alexis Fraser, a.k.a. Lipstick Lex, is giving the phrase “makeup artist” a whole new meaning. 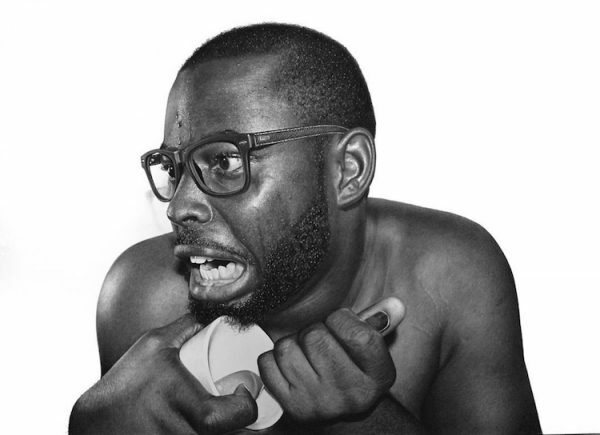 She creates incredibly detailed portraits by kissing the canvas and leaving lipstick prints in just the right places. Fraser specializes in oil painting, but has also mastered a unique art form that she calls “kiss print pointilism”, which has her applying lipstick to her lips and repeatedly kissing the canvas until the desired image is formed. For the finer details, she draws with the lipstick directly onto the canvas, but most of the work is definitely done by her lips. In 2014, Israeli artist Sigalit Landau submerged a 19th century-style gown into the lifeless waters of the Dead Sea, for a unique photo project. The dress was retrieved after three months, and as you can see in the photos below, the transformation is quite significant. For her latest project, an eight-part photo series called Salt Bride, Landau checked in on the dress multiple times over the three month period, capturing its slow transformation into a magical salt crystal. As the salt in the water adhered to the fabric, the black dress gradually became stiffer and changed its color from charcoal black to pearly white. “It looks like snow, like sugar, like death’s embrace,” the artist poetically said in a statement. Looking at the detailed leopard portrait below, you’d be inclined to think Franziska Treptow is a photographer. Every detail, from the tiny hairs of the animal’s fur to the reflection in its eyes, is so perfect that it’s almost impossible to believe that the young German artist paints or draws every one of her artworks. Franziska’s ideas start as sketches and photos of wildlife. Using her skills in digital photo manipulation technology (Photoshop), she creates a digital model for her works, which helps her become aware of the composition and accentuation of light and shadow. 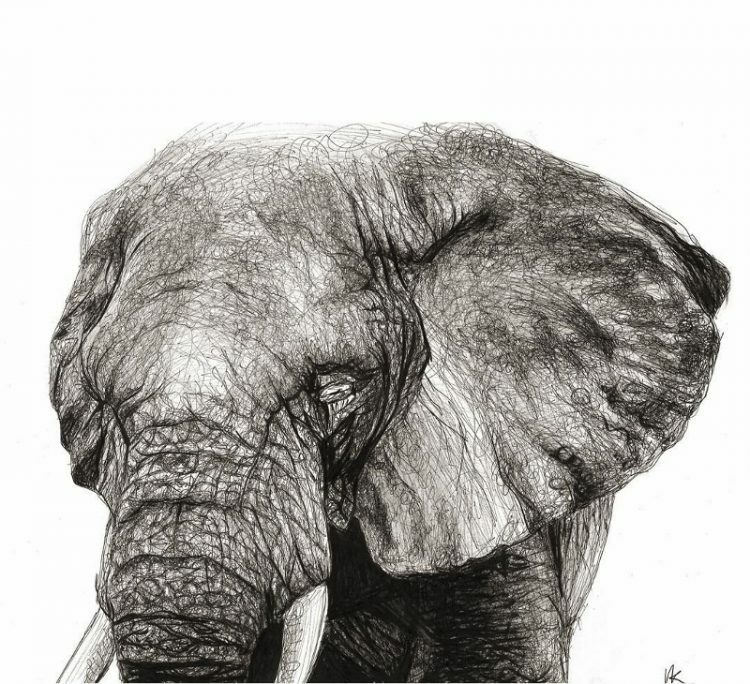 She then sketches that model on paper or canvas and uses pencils or paints to create the ultra-realistic animal portraits exclusively by hand. 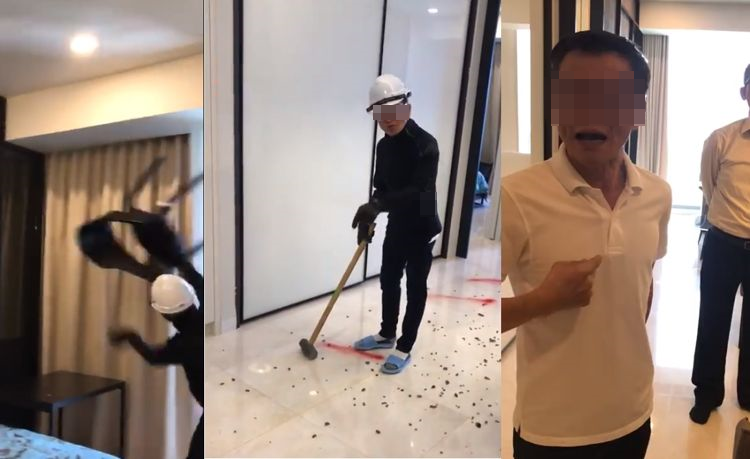 The whole process, can take anywhere from a few hours to more than a month, depending on the complexity of the project. The end result is always breathtaking.